Birthdays are one of the best holidays because you have the chance to celebrate the day a loved one was born, and few things could surpass that. Naturally, you will want to show your friends or other loved ones that you care. The birthday message you send should reflect how you feel and add a lot of joy to the day. The message can be serious or lighthearted or a mixture of both. A little humor can make the message memorable, especially if you have known the person for a long time or you have the right degree of closeness. Here is a wonderful collection of cute birthday messages you can use or customize to show that special someone how you feel. No birthday cake could be as sweet as you. You deserve the best birthday ever, and I wish you many more to come. I wish I could capture the sun to light your paths and make all of your wishes come true. For now, I will have to be content with wishing you a happy birthday! Someday there will barely be enough room on the cake for all of your birthday candles. When that happens, know that I will still want to be there by your side. If I were there, I would offer you a huge birthday cake with icing, and I would make sure you had the biggest slice. This is your birthday genie wish message. When you read it, a special wish automatically comes true. I made you a big cake, but then I remembered that you are avoiding carbohydrates, so I ate all of it so that you wouldn’t be tempted! It was the least I could do for my best friend! You deserve butterflies, flowers, and unicorn kisses. Unfortunately, none of those are in season right now, so instead I am giving you chocolate. Your birthday is one of my favorite holidays because I get to celebrate one of the most awesome people I have ever known. I could make a list of your positive qualities, but if I did, it might take so long I would miss your birthday! I bet you don’t know how much fun you are to be around. I am so glad to celebrate your birthday with you! We have shared so many things together, and I just want you to know how happy I am that you are my friend. 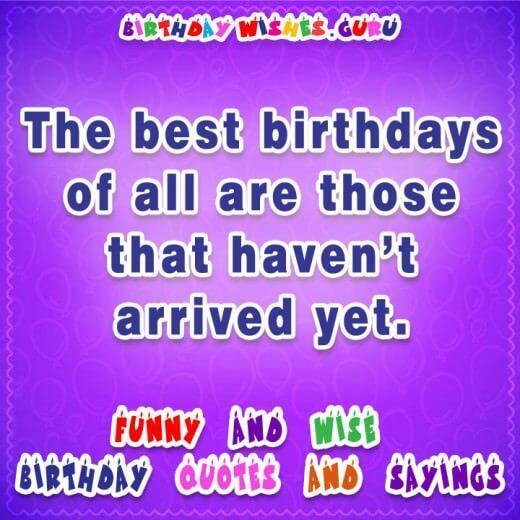 May your birthday be the best! I know that you are secretly an angel, but your secret is safe with me. Happy Birthday to my angel. If I get sentimental on your birthday, it is because I am so happy to be with you and so proud of you. Happy Birthday, honey! Your kisses are sweeter than any birthday cake! May your birthday be the sweetest ever! I wish you birthday blessings of sunny days, calm nights, mild winters and early springs. I wish you love, joy, peace and all of your favorite things. You deserve only good things every day of the year. On your birthday, may beauty surround you. You are so kind to everyone and your smile brightens the world. On this day, I hope you receive that kindness in return. As best friends, we love each other and we have seen it all. However, this year I promise to remember to wear more than my birthday suit to your party. I have never met anyone as sweet as you! I hope your birthday is filled with such sweetness and love. I believe that angels sent you to bless the earth, and on your birthday, I thank them for the gift of you. I love to tease you because of your adorable reactions, but I hope you know I mean it when I say happy birthday to the most wonderful woman. Happy birthday to my shining star, my sun and moon, my one who makes my life so much brighter! Happy Birthday to the most super, cool, handsome, charming, amazing guy I know, from your friend, who is just like you. I wish I could hire the biggest choir to sing the birthday song to you. You deserve the best!